From ice skating downtown to a California-inspired children’s festival to an adventurous scavenger hunt, there’s plenty to do when it comes to opportunities for learning and fun. Read on for a rundown of what to do this week. On Sunday, join Governor-Elect Gavin Newsom for a family-friendly event celebrating all things California. A beach-themed dance party is on deck, along with kid DJs, workshops, desserts and more. When: Sunday, Jan. 6, 12-3 p.m.
Where: California State Railroad Museum, 125 I St. 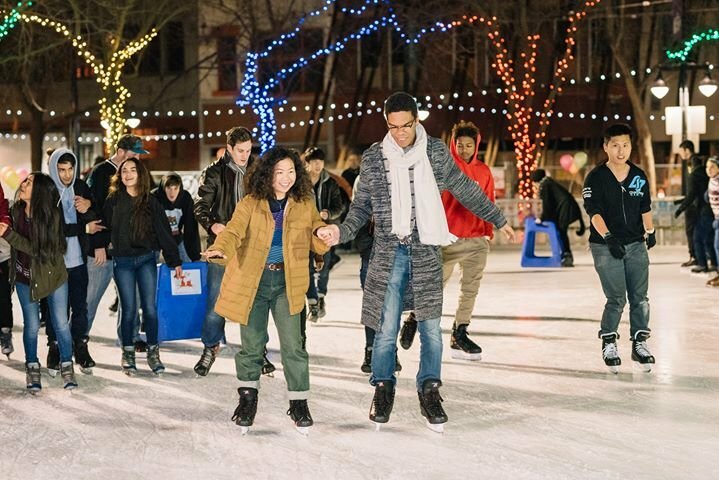 This weekend, head over to downtown Sacramento for some ice skating fun with the whole family. Skates are provided with ticket purchase and add-ons such as socks and gloves are available at an additional cost. When: Friday, Jan. 4 and Saturday, Jan. 5, 10 a.m.-11 p.m.
Last but not least, embark on a self-guided scavenger hunt around town, solving riddles and challenges along the way. Discover hidden gems as a family, while gaining insights and learning stories at many Sacramento historical sites.